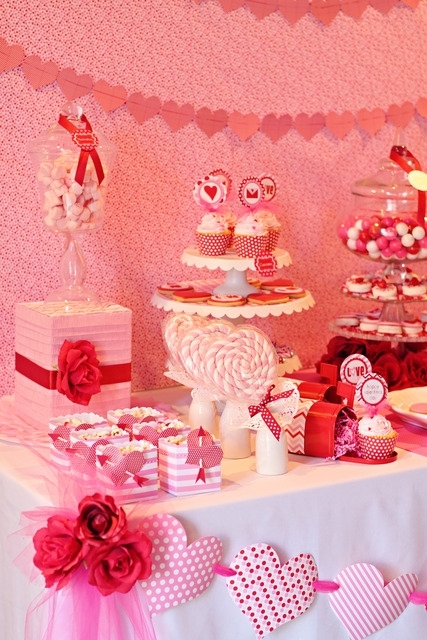 Think about your guests first and what they might want on a dessert table. If you are having kids, I recommend nothing too fancy or messy. Some staples might be cupcakes, Rice Krispie treats, cake pops, chocolate dipped marshmallows, and chocolate covered Oreos. 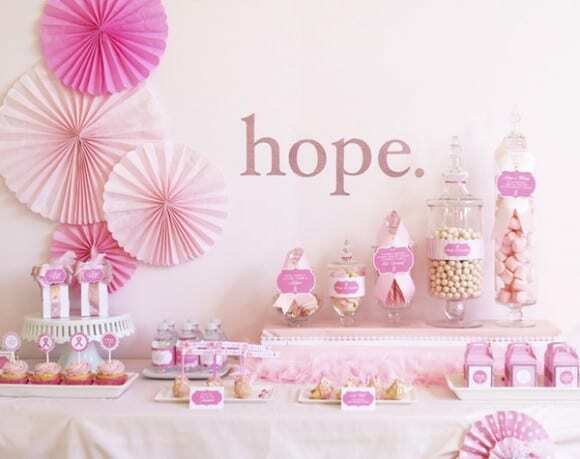 Here's a fun kids dessert table with just a few simple items on it, but notice the impact. Pay attention to the colors of the desserts to make sure there's harmony on the table. One way to add drama is to limit the number of colors you use. I love how all the desserts here fit the color scheme. Another great example of thinking about color is this pink ombre table. Add lots of different heights. It makes everything more visually interesting. 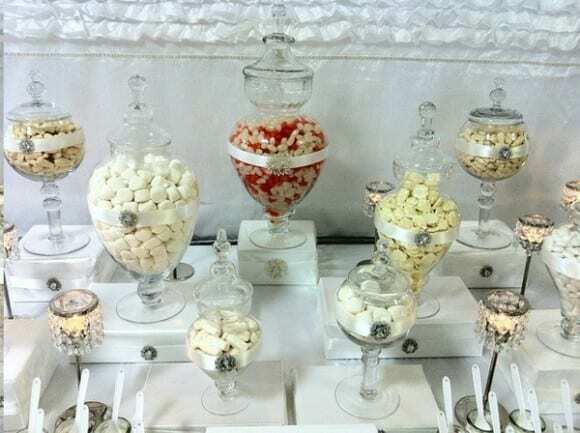 Use different size cake stands and dessert trays. Also, wrapping boxes in pretty wrapping paper and putting containers on top of them is another great way to create levels. Apothecary jars are always pretty. Save On Crafts has a great selection, but shop around because you can usually find them on sale at places like HomeGoods and Pier 1. If you're planning to add party printables to your table (which I always recommend because they aren't expensive and add so much), I recommend printing them on glossy brochure paper to make them pop. If you need to find great party printables designers take a look at the designers in our party vendor directory. We've got the best of the best. Look how these gorgeous printables tie this whole table together. 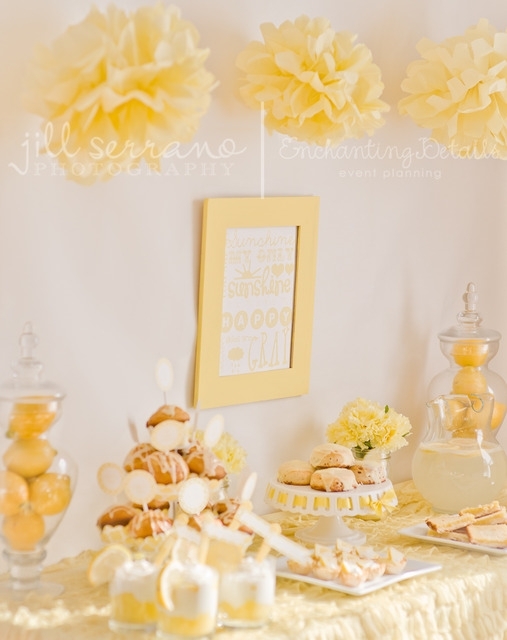 Adding a backdrop gives your dessert table some depth and adds a frame. Here are some easy backdrop tutorials from our site to give you ideas. Plus here's my Pinterest board of backdrops. 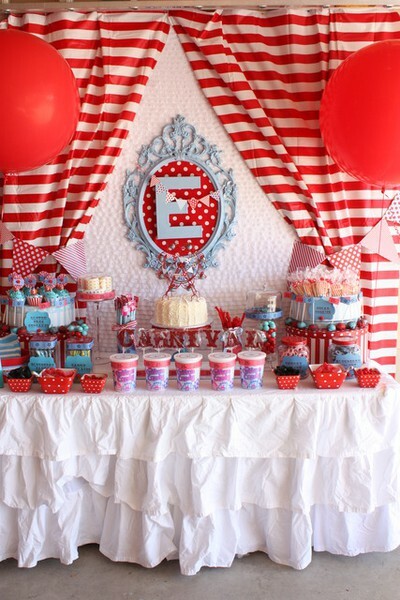 I had to show off this backdrop because the striped curtains make the carnival theme come alive. Some people like to label everything on a dessert table, some people like to label nothing. 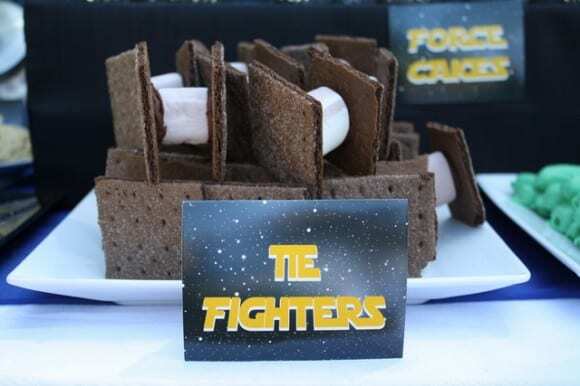 I prefer to label only things that might confuse people (like the flavor of the cupcakes), however, if you have cool creative names for things, like these "Tie Fighters," I say go for it and label everything! 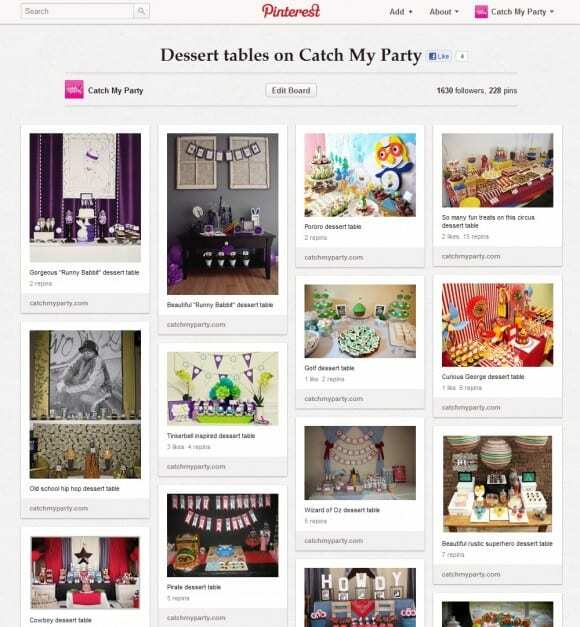 Check out other dessert tables for ideas and inspiration. 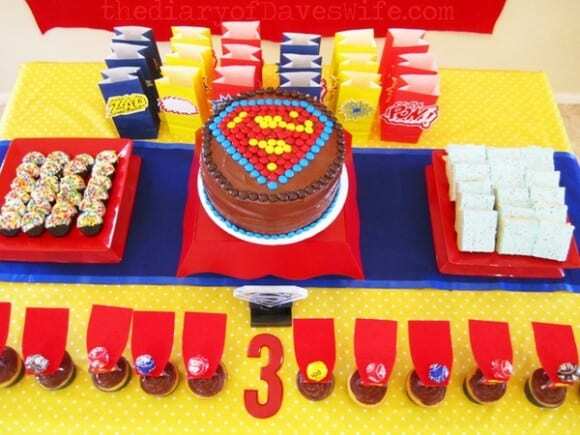 I even have an entire Pinterest board dedicated to dessert tables I've seen on our site. Definitely be inspired by others! Stay tuned for Part 2, where I share tips from our readers who gave me great ideas on Facebook. If you have a tip I've missed, please add it in a comment. 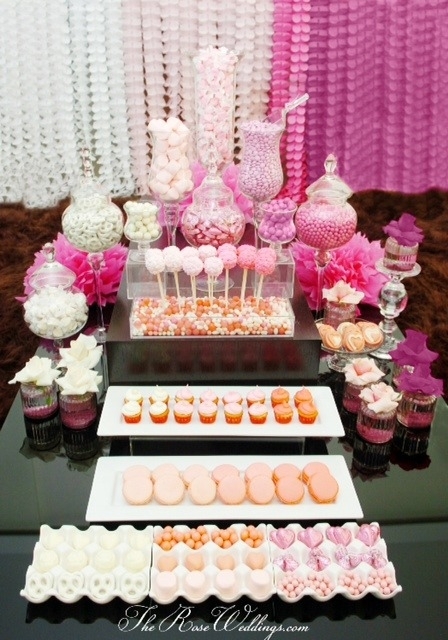 One thing about a dessert table that I think is important is adding variety in terms of taste. Dessert tables can sometimes get so heavy on the chocolate. Yes, desserts are suppose to be sweet but consider adding other things like sour belts, something salty like pretzels and even a hint of spicy if possible. Also be aware of allergies and maybe be sure to include 1 or two gluten free /nut free chocies.